Four-time Major winning Jordan Spieth reckons his game is heading in all the right directions ahead of teeing-up in tomorrow’s AT&T Pebble Beach Pro-Am. 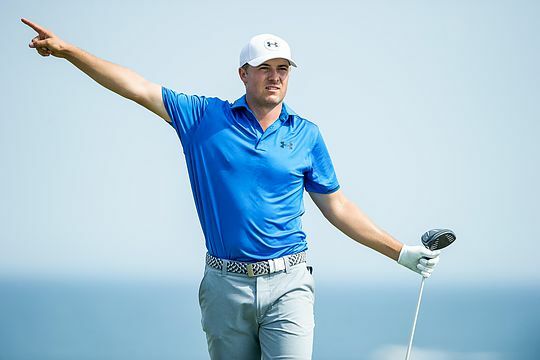 Spieth has not tasted victory since his sensational, and very dramatic, victory in the 2017 Open Championship at Royal Birkdale and the newly-engaged Texan would dearly love to get another win on the board this season. I’m in a good place right now. I feel like my game’s trending the right direction. Sometimes that means results are coming soon. Sometimes it means they’re coming later. But they’re coming,” said Spieth. Indeed, Spieth has not had a top-10 finish since last year’s Open at Carnoustie and with the former World No. 1 currently ranked 21st in the rankings – his lowest ranking since his 22nd placing at the start of the 2014 season. “It’s about how do I improve to get myself into contention this week and then what do I do next week and just staying very present and recognising the longevity of a career,” Spieth said.